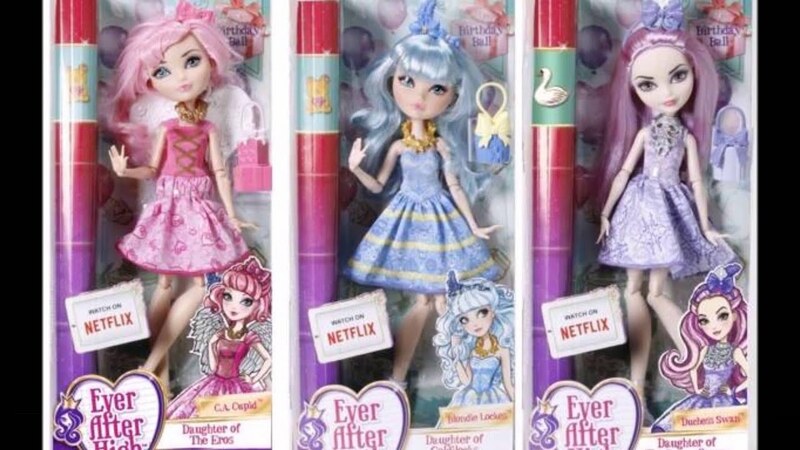 In December 2015 I saw a lot of leaked pictures of the Ever After High dolls that are going to be released in 2016. 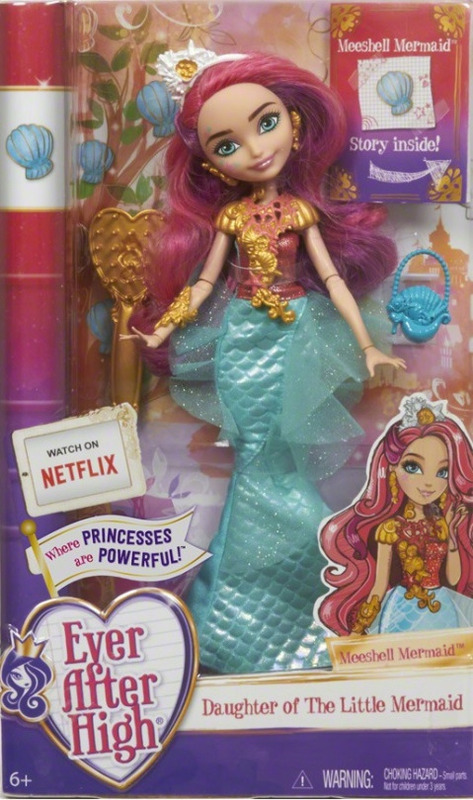 I can’t wait to finally see the dolls of the new characters that appeared in the EAH Dragon Games movie (especially Meeshell Mermaid, Daughter of the Little Mermaid) and the dolls from the upcoming EAH movie Epic Winter. 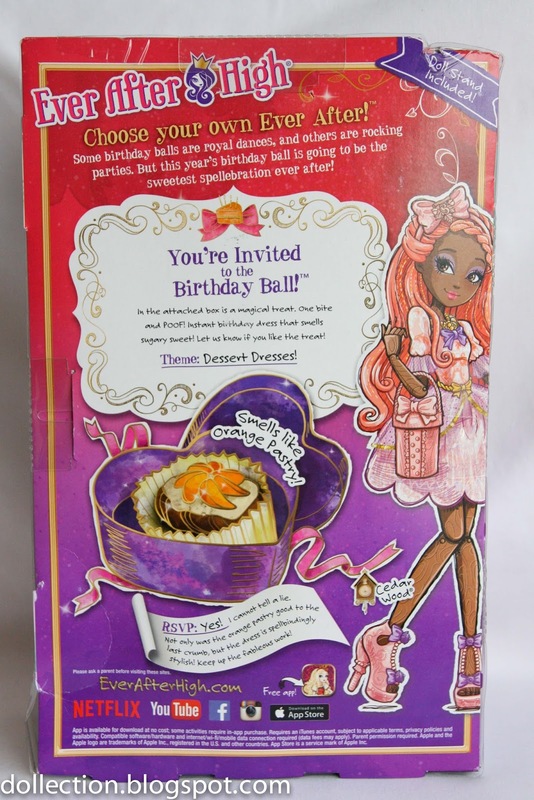 One of the side doll lines that I found interesting is the Birthday Ball doll line. 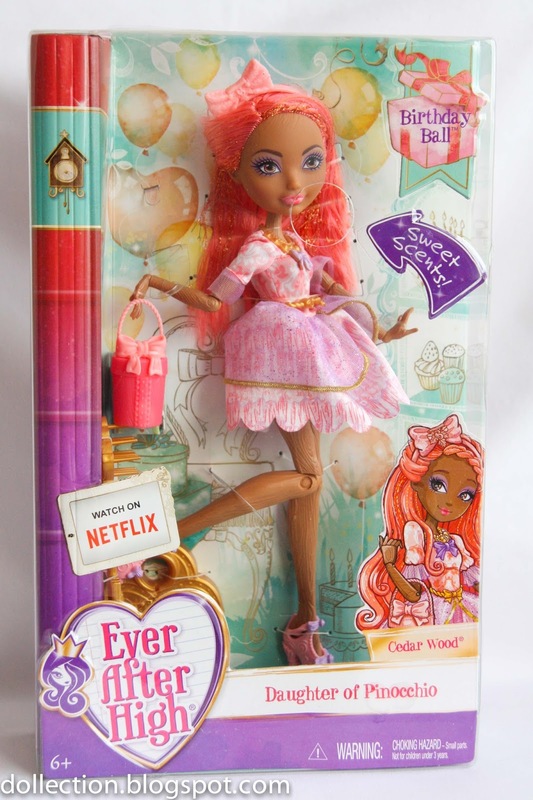 Ever After High Birthday Ball line will feature at least five dolls: two scented dolls (Cedar Wood and Rosabella Beauty), that are Target exclusives in the USA, and three budget dolls (C.A. 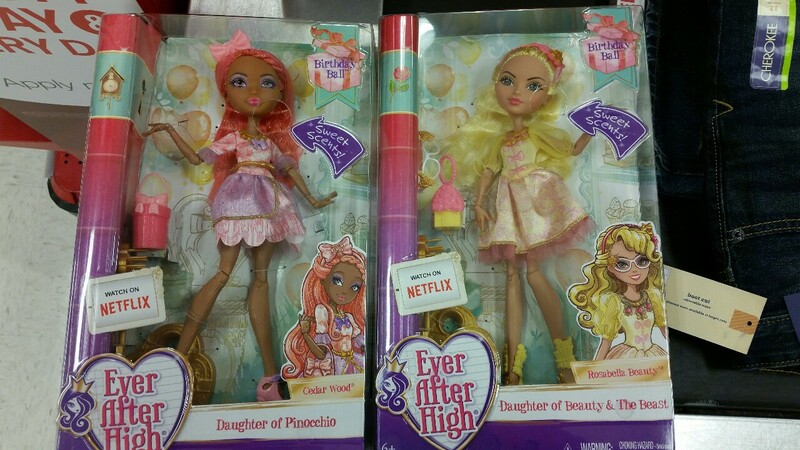 Cupid, Blondie Lockes and Duchess Swan). 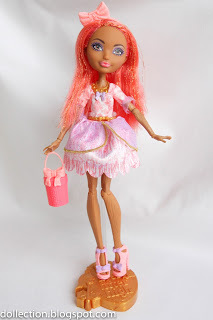 The theme of this doll line is of course birthday celebration and the dolls have sweets and cookies-themed outfits and different than usual hair colors. I wonder whose birthday it is? 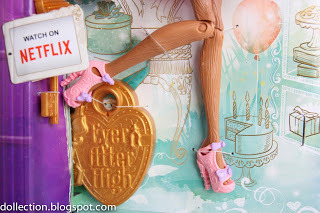 Birthday Ball Cedar Wood is the 4th Cedar doll in my Ever After High doll collection (I also have Signature Cedar, Spring Unspung Cedar and Hat-Tastic Party Cedar). 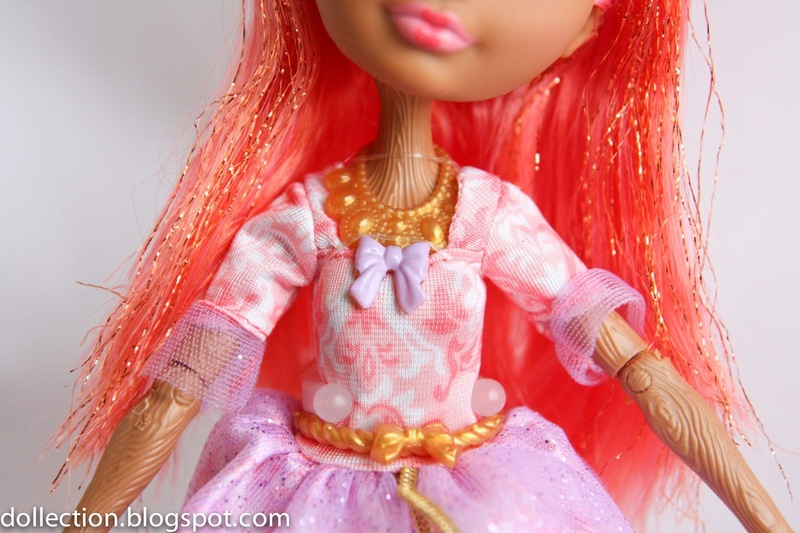 As a Daughter of Pinocchio, Cedar was made out of wood and that’s why every Cedar doll has an amazing wood-grain print on her skin. This particular Cedar looks so different than usual and I absolutely love it! 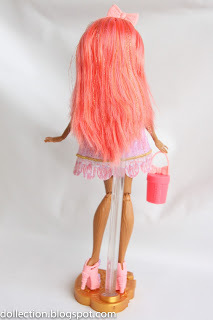 This time her hair color was completely changed from brown with violet streaks to a beautiful blend of pink and coral with gold tinsel. 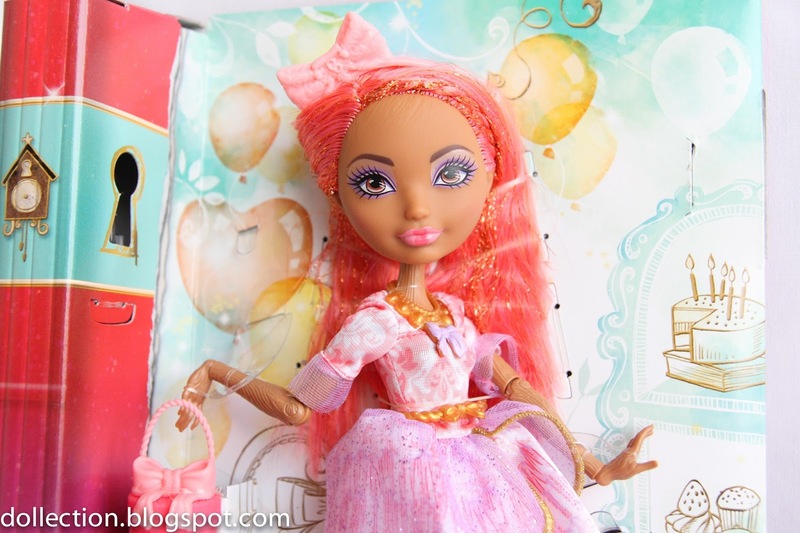 She and Rosabella are also the first scented Ever After High dolls. Cedar smells nice and the scent is rather delicate but definitely noticable. I think that it is a nice addition to the doll and it matches the theme of the doll line perfectly. Cedar’s outfit is very beautiful and cute, but even though she comes with a necklace, belt and a headband, I still wish she came with earrings and a ring too. 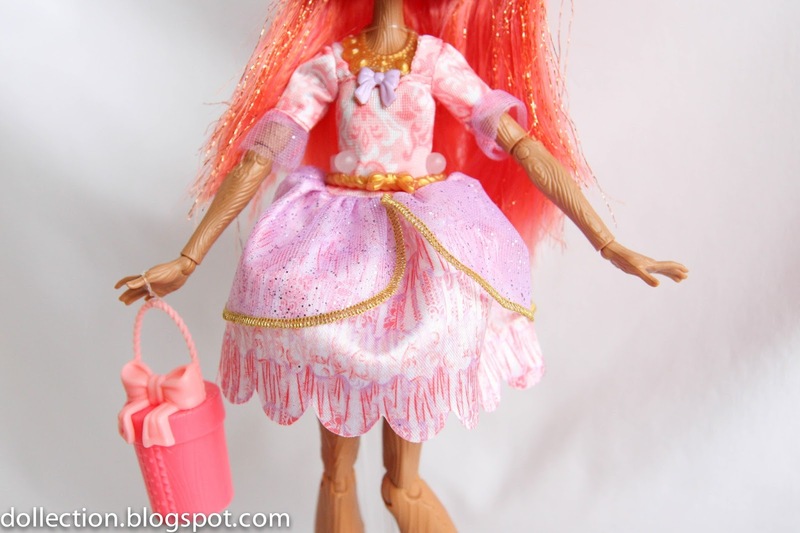 I am glad that the details on her shoes and on her necklace are painted and that she comes with a stand. 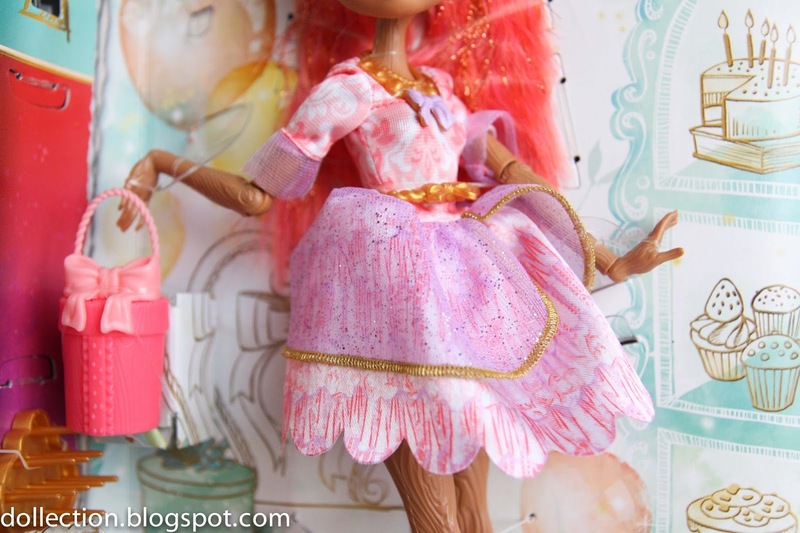 Overall in my opinion Birthday Ball Cedar Wood is absolutely adorable and I like her a lot. 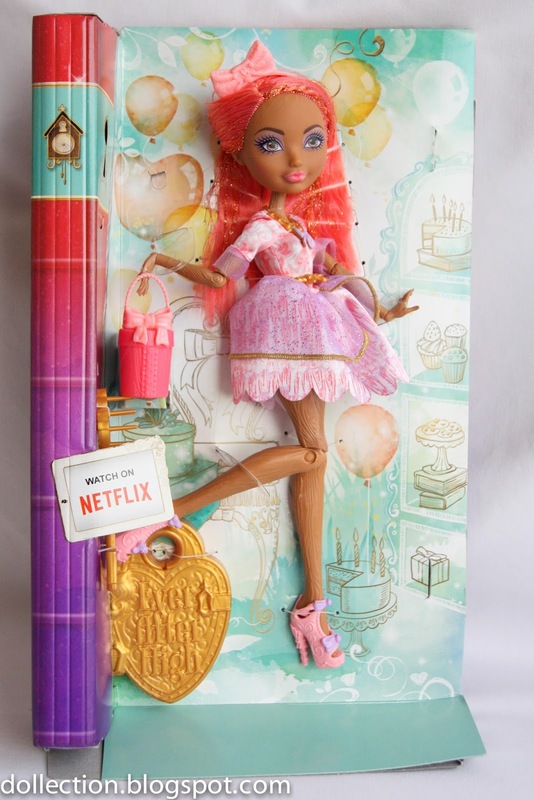 I am so happy that Target ships internationally and I was able to get her directly from the store, without having to pay almost double the price on eBay. 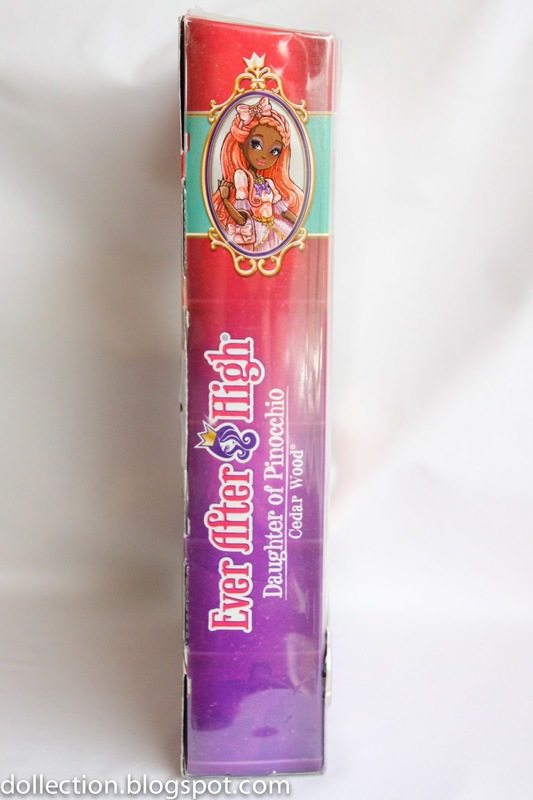 I also got other Target exclusive dolls: Ever After High Rosabella Beauty from the Birthday Ball doll line and Monster High Elissabat from the Ghouls’ Getaway doll line. 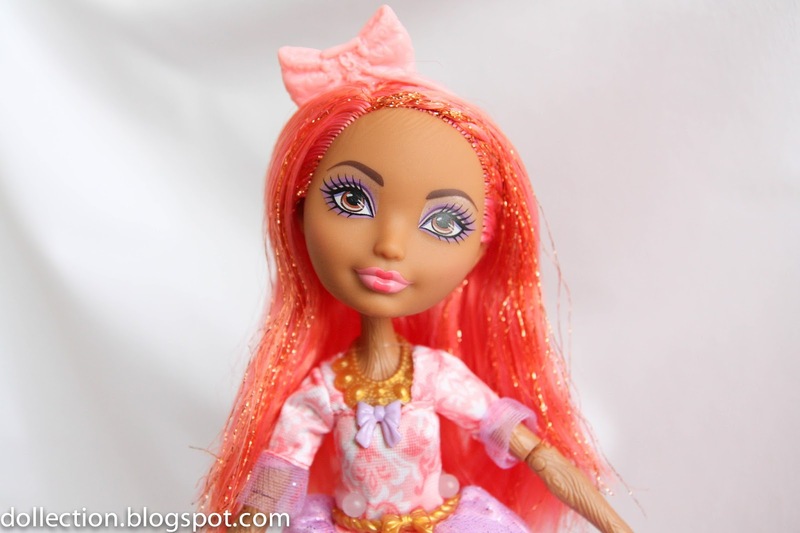 The reviews are coming soon so stay tuned! 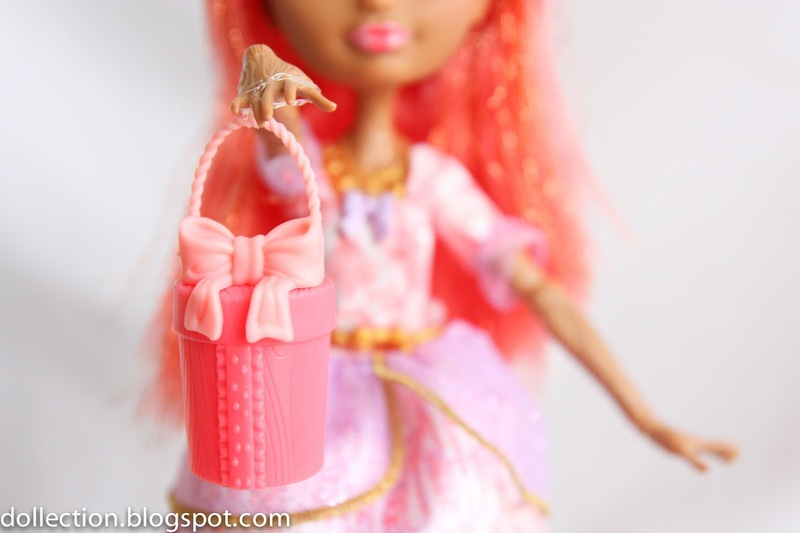 …and out of the box! What do you think about Birthday Ball Cedar? Please let me know in the comments!